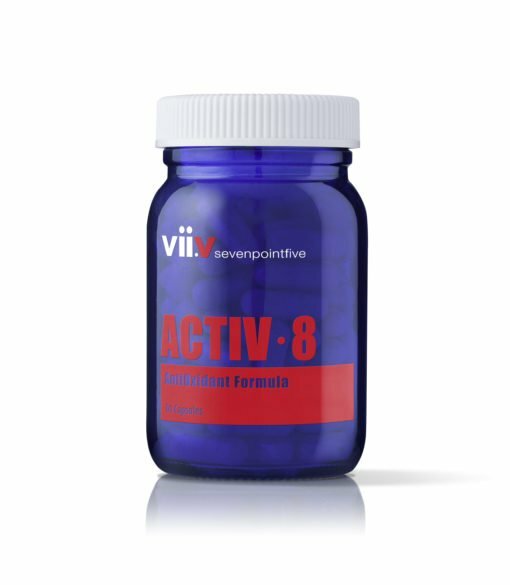 Activ-8 is an extremely potent and pure antioxidant formula, made from the finest natural synergistically blended ingredients. 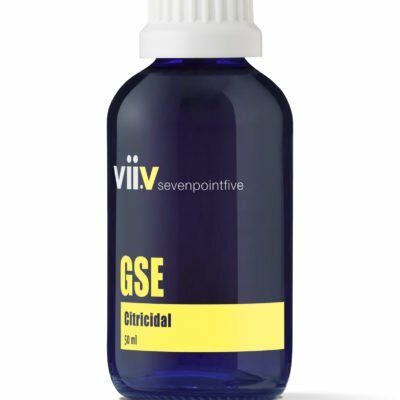 Stress and free radicals are known to reduce overall well-being, cause premature aging and compromise cell integrity. About 60 diseases are caused by free radical damage. 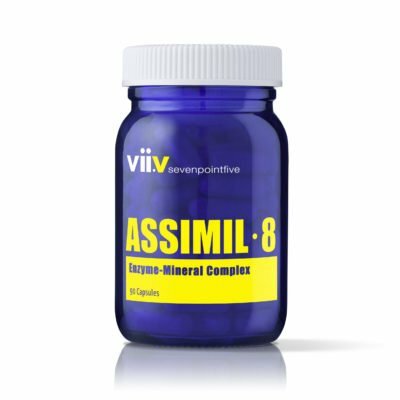 What is in Sevenpointfive Activ-8? Activin (red grape seed extract) – Powerful antioxidant benefits. 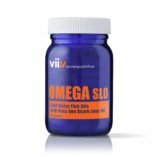 Far greater antioxidant capabilities than vitamin E, C or selenium. Independent research shows that Activin is distinctly different from other OPC extracts, and actually contains greater amounts of OPC’s than other leading brands. 50mg of 100:1 concentration Activin is included in each capsule. ChromeMate – Chromium Polynicotinate is the most bioavailable form of chromium and is used to balance blood sugar by linking with insulin. ChromeMate’s patented oxygen-coordinated, chromium-niacin complex is the most potent of all — over 18 times more potent than any other form of niacin-bound chromium. ChromeMate is absorbed and retained by the body 300% more than picolinate. 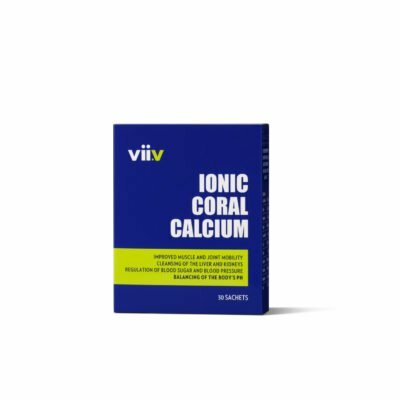 Coral Calcium Powder – It’s alkalizing effect aids absorption of other ingredients. Flora Magic – Flora Magic contains 125 million active cells of friendly bacterial complex essential for the health of the colon. Flora Magic reduces intestinal toxins, balances intestinal pH, improves digestion, absorption and elimination. Milk Thistle Extract – To detoxify and aid liver function. Alpha-Lipoic acid – Potent antioxidant. Helps decrease diabetic symptoms. L-OptiZinc – Zinc, like iron, copper and chromium, is one of 16 essential trace minerals the body needs to keep healthy and fit. For people that are sick or out of shape, zinc may be the most precious metal of all. Zinc is essential for growth and development, reproduction, digestion, respiration, and for proper brain, nerve, vision and immune function. L-OptiZinc is a unique, patented form of methionine-bound zinc that dramatically increases the bioavailability of zinc. Researchers have shown that L-OptiZinc is by far the most potent zinc antioxidant available as a dietary supplement. Soy protein – is a nutritional powerhouse. 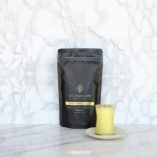 Using a breakthrough sprouting process, this “live” soy complex retains full enzyme activity and essential phytochemicals for greater utilization of nutrients. Studies show soy-derived phytochemicals lead to lower levels of degenerative disease. What is unique about Sevenpointfive Activ-8? Anti-oxidants prevent damage such as free radical damage to cells which leads to premature aging, age spots and wrinkles. However, similar to every lock needing its own key, each type of damage is repaired or prevented by a certain anti-oxidant. Although some anti-oxidants repair more kinds of damage than others, you need as many anti-oxidants as possible to prevent the various kinds of damage. Activ-8 provides a broad spectrum of anti-oxidant protection. 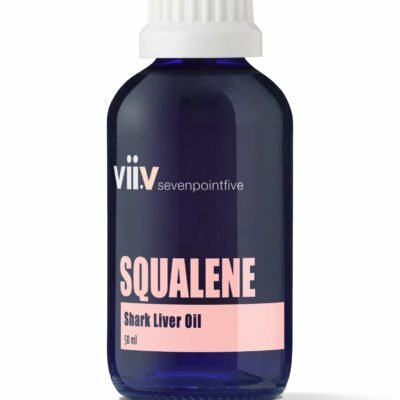 What has Sevenpointfive Activ-8 been used for?